Upgrade your drinkware collection with this Caravan cafe glass set. 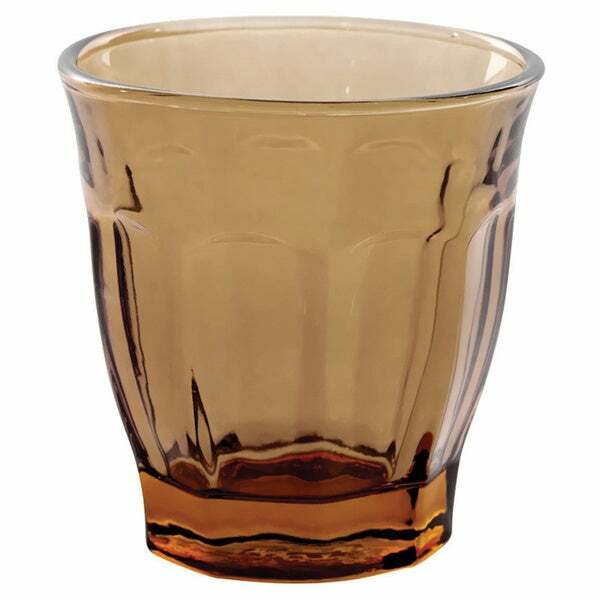 These glasses are dishwasher safe for easy cleaning, and the lovely thumbprint design provides elegance. These are the smallest juice glasses I have ever seen - more like a shot glass size. They are cute and I love the green color I got --- but they are very small.